fashionflap53 | Fashionflap.com: Helping Online Shopping for Fashion! THE HIGHEST QUALITY THAT YOU DESERVE: Sick and tired of clothes that have let you down after a couple of times using? Not anymore. Thanks to our skirt¡¯s high quality fabrication and the 75% cotton construction you have nothing to worry about- add a valuable and timeless piece of clothing that will serve you for a lifetime. Because you deserve nothing less than that. FOR CHIC LADIES: If you love elegant and vintage clothing then this skirt is going to rock your world. 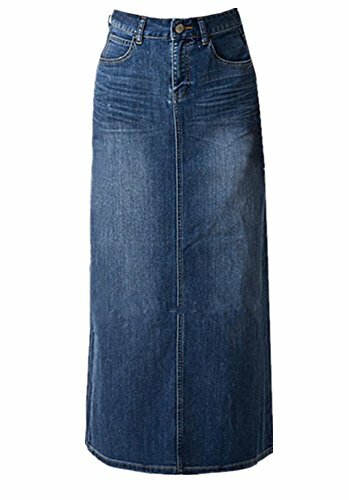 Thanks to the maxi and A-line design this skirt is going to show off the best parts of your body- just what you need in order to complement your chic and lady-like style. Timeless yet fashionable this one-of-a-kind garment is going to offer you memorable moments!